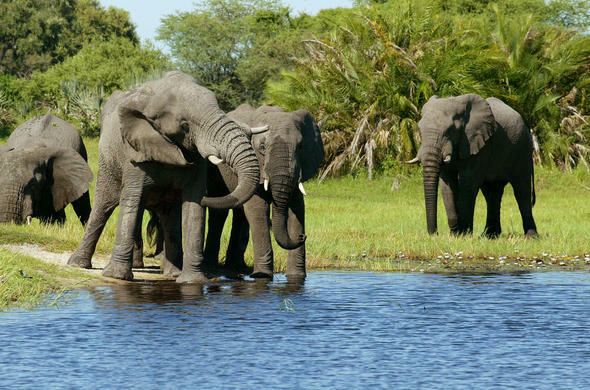 Abu Camp, in the Okavango Delta, is famous for pioneering Elephant back safaris in the 1980's. In keeping with the recent trend to abolish elephant-back safaris, Abu Camp offers an amazing Elephant Experience which includes walking with elephants. 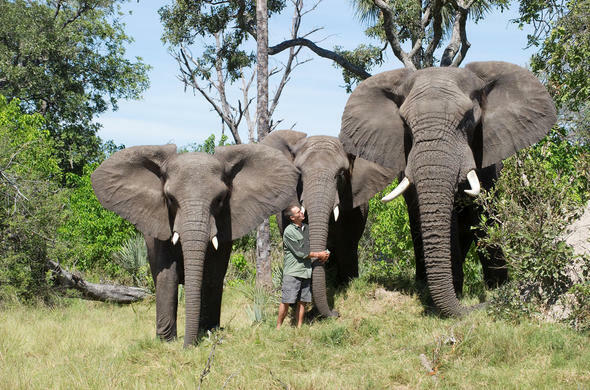 This is a wonderful experience that allows guests to learn about the elephants habits and natural behavior. You can get a change to become part of the herd and see the different personalities of each elephant. 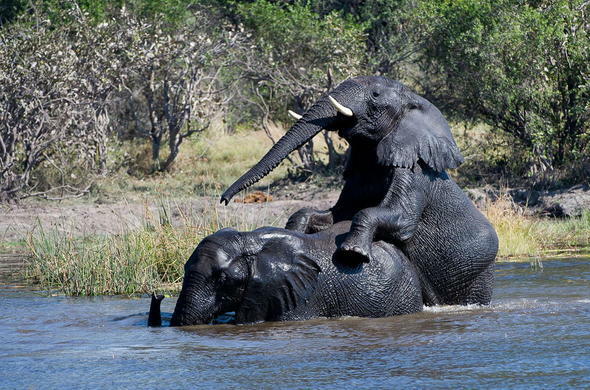 Watch them take a mud bath and capture classic moments on your camera to share with your friends and family back home.